Niki, our friend at my scandinavian home, has created a lovely guide to my home town Malmö. Malmö is a small city in the southern part of Sweden, just a bridge away from Copenhagen. 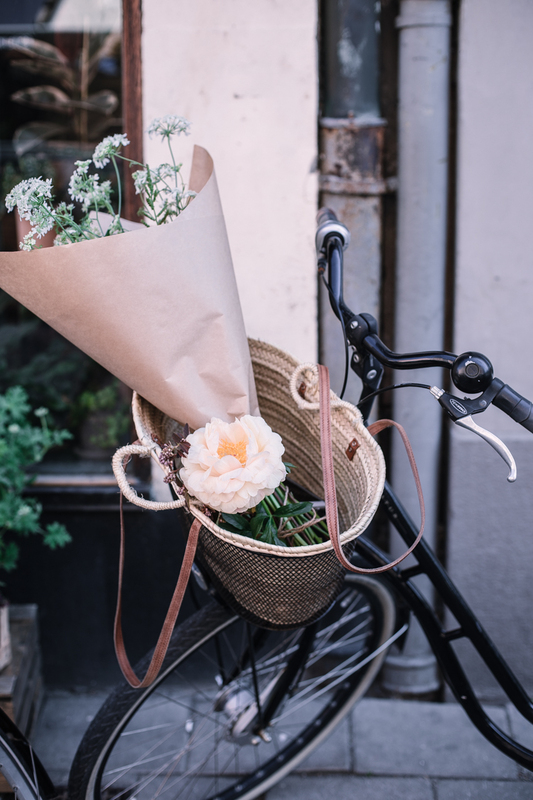 It’s a lovely place to visit, specially during summer, with bright Swedish summer nights, many bars and restaurants buzzing of life and filled with happy people, and everything is within just a 5 minutes bike ride away. Malmö and Skåne was selected one of the top places to visit by New York Times and I can warmly recommend a visit to this lovely place. 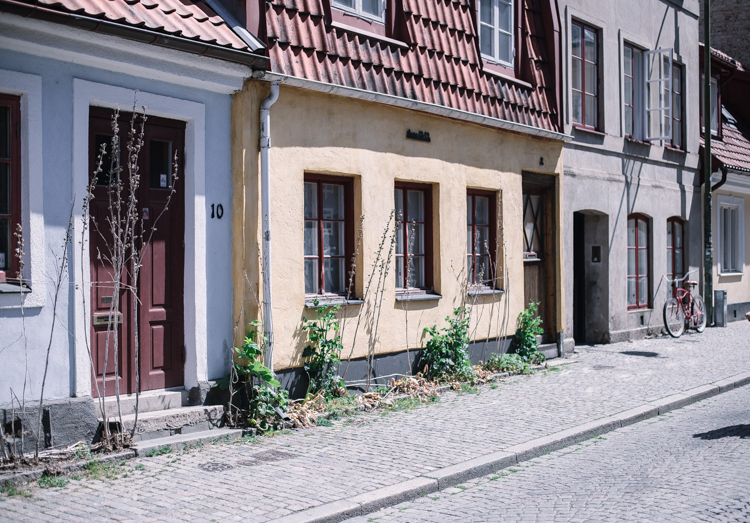 Don’t miss Niki’s guide to Malmö that you can find here! I was in Tokyo last week on a business trip, again. This time I had a day to get out of the office and see some inspiring exhibitions, and Tokyo is an amazing city when it comes to art and culture! 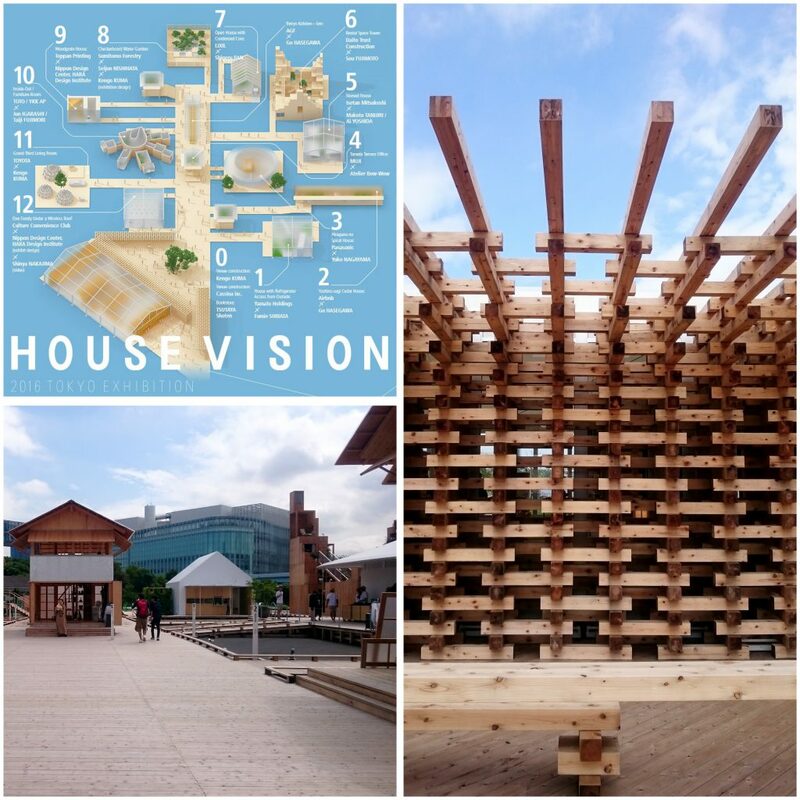 I will show you some images from a really inspiring architecture exhibition called House Vision 2. 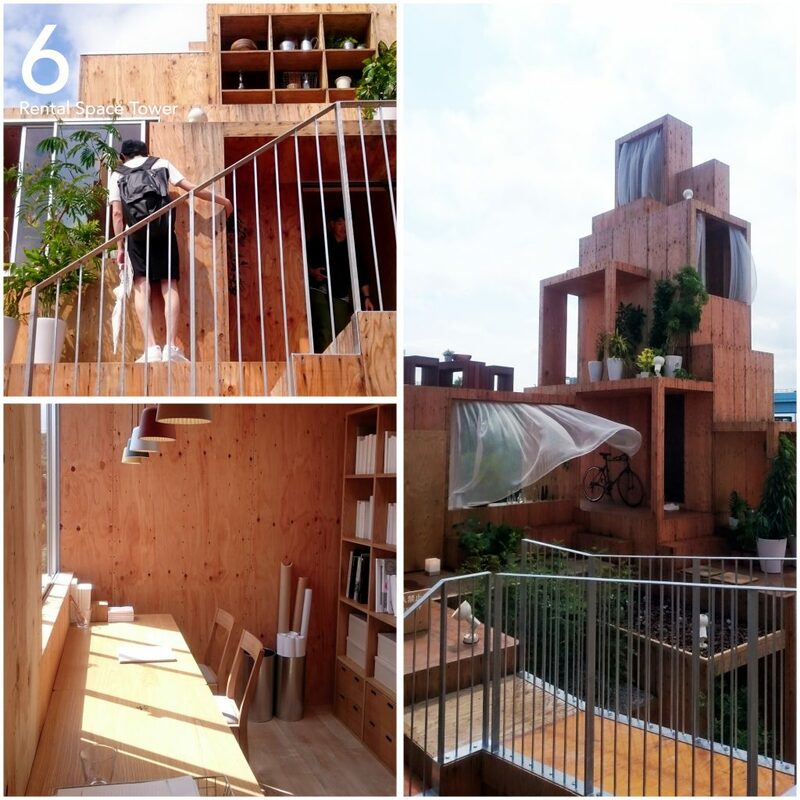 The exhibition was built in wood in simple, but very beautiful constructions. There were 12 houses made by different architects to envision their solution to future home needs, all the houses were connected by wooden “streets” that was elevated from the ground. This was a very nice way of connecting the houses and separating the exhibition from the surrounding. I will show you some of my favorite houses. The nomad house by Isetan Mitsukoshi in collaboration with architects Makoto TANIJIRI/Ai YOSHIDA. It was interesting to see how the architects were working with an open, flexible space and how they were working with different heights on the floor, textile curtains and glass doors to create rooms inside the open space. 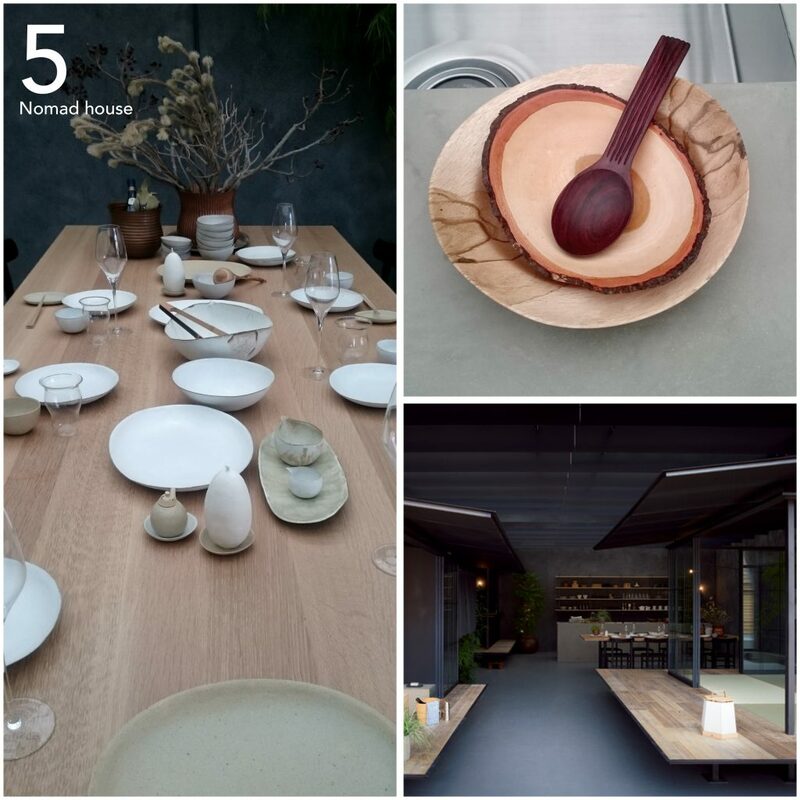 The color scale was very calm and minimalistic, but the use of different kinds of wood and hand-made ceramics were adding warmth and comfort. 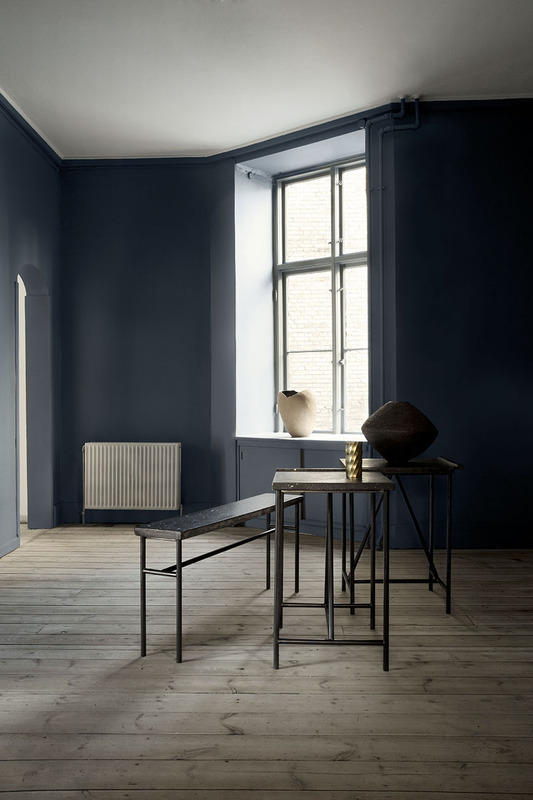 The wall was painted in a grey chalk paint, with brush strokes to give a more vivid surface. The Rental Space Tower by architect Sou FUJIMOTO for residential leasing and management company Daito Trust Construction. The entire house, both exterior and interiors was made of wood, and this was creating a warm atmosphere with no clear separation of inside and outside. 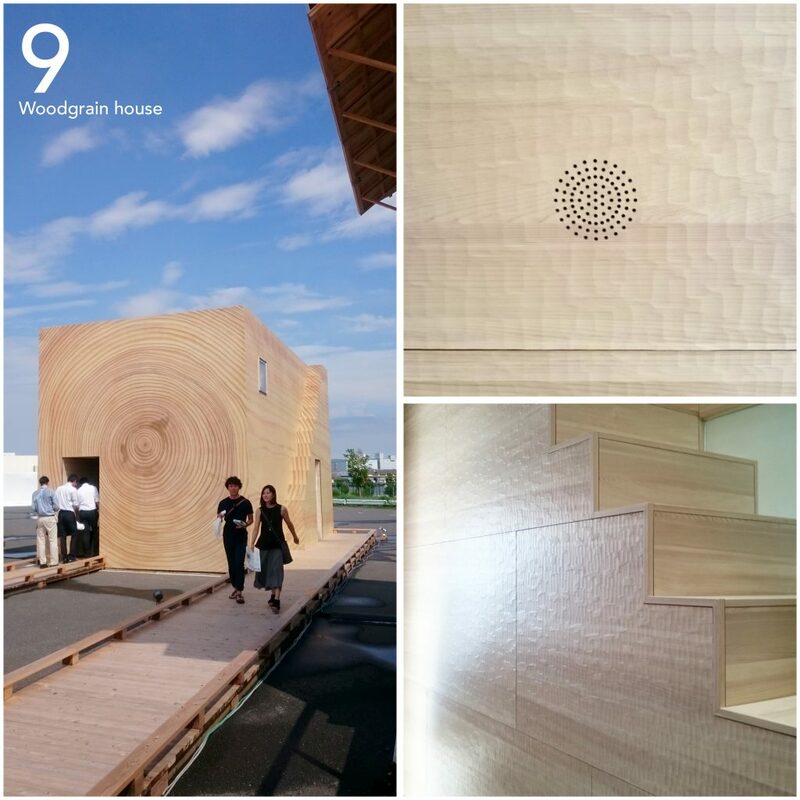 Woodgrain house by Toppan Printing and HARA Design Institute. The architect’s vision of a house made out of a solid wooden piece was nicely executed by a printed laminate material both on the outside and the inside of the house. The material used on the inside also had a texture to simulate the tool marks from shaping the wood. But the nicest thing in this house was how they had integrated all the functions in the house into the material, for example a speaker that was built into the wall and the storage space inside the steps of the stairs. I went to this beautiful place in Tokyo called Souen. 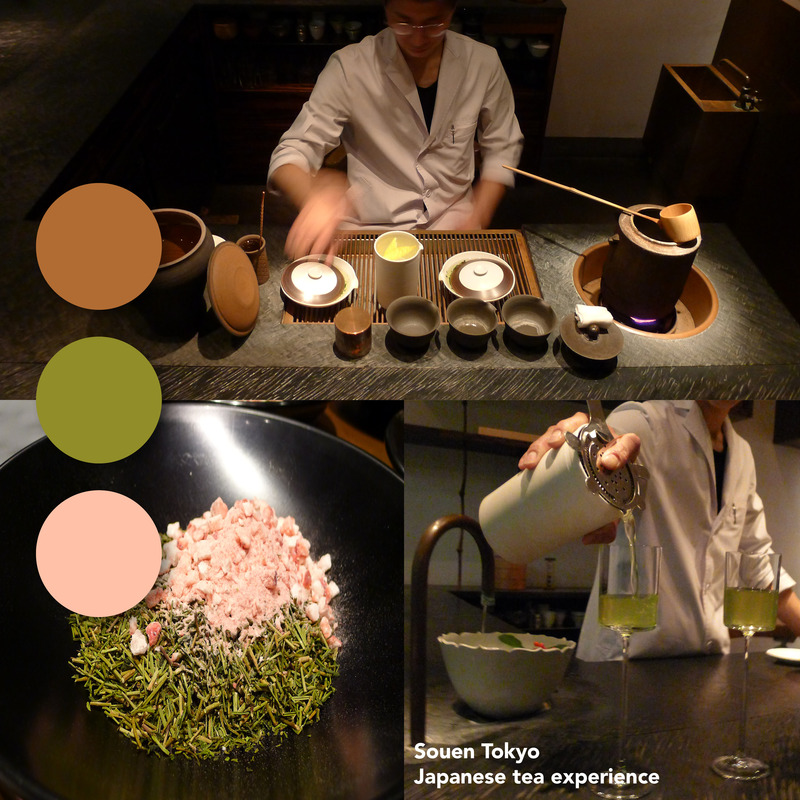 It is a modern tea house that is inspired by the traditional Japanese tea ceremony but with the new twist that they serve the tea in cocktails. The environment is calm and minimalistic, only with natural materials: stone, brass, wood and ceramics. The bartender is fully focused on his task: pouring water, preparing tea, mixing the cocktail and serving it in the perfect glass. This was an experience for all the senses! 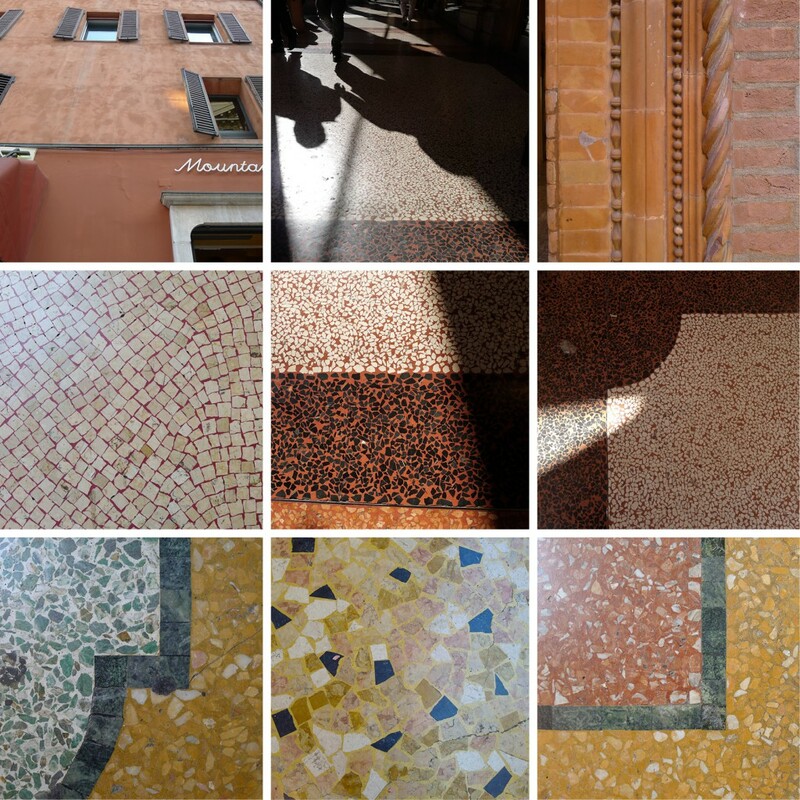 I think we will see a lot more of terrazzo to come, to quote the queen of swedish design blogs Lotta Agaton “terrazzo is the new Carrara”.